The lizard, whose scientific name is Liolaemus cuyumhue, was discovered in an area known as Bajo de Anelo, in the western province of Neuquen. "We have classified this lizard as critically endangered," warned Luciano Avila, a herpetologist, or reptile specialist. The species was identified just a year ago in Bajo de Anelo, an area of tectonic subsidence—sinking of the Earth's crust—within the Vaca Muerta field. The lizard is "one step away from being in danger of extinction if no measures are taken to protect its environment," Avila, a researcher with the National Scientific and Technical Research Council (Conicet), told La Nacion TV. The tiny tan lizard lives in dunes and can bury itself and move under the surface "as if swimming through the sand," Avila said. It survives on insects. 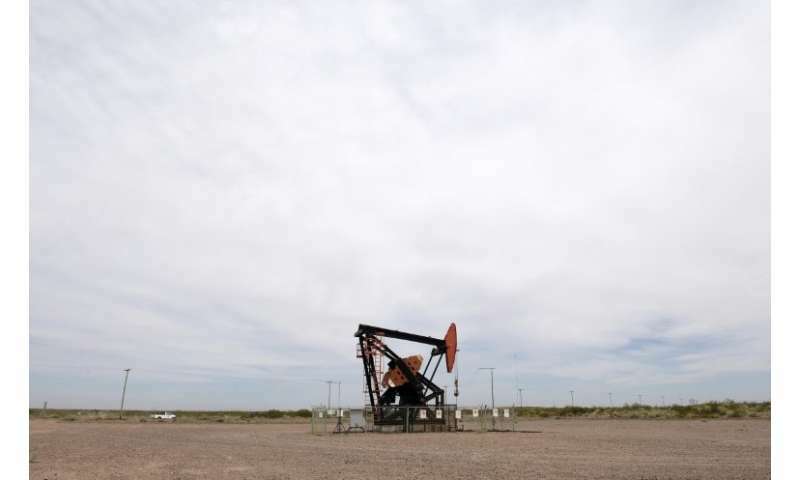 But its habitat, he said, is being disturbed by oil companies' fracking activities—the hydraulic fracturing of shale deposits to extract oil or gas. Petroleum companies have big plans for the area, saying they want to invest more than $3 billion over the next 20 years. But to Avila, Bajo de Anelo is a "spectacular area" and a hotspot of biodiversity, with "many lizards that are unique to these environments." He would like to see more research done on the lizards and their environment, with the government establishing permanent safe areas for their continued survival. But so far, Avila said, there has been a lack of protection in Argentina for arid and semiarid zones. "There's a multiple-use reserve around Auca Mahuida volcano (northeast of Neuquen)," he said, adding that it did not seem to stop the oil companies from doing their work. US and French companies associated with state-owned energy firm YPF—Argentina's largest company—operate in Vaca Muerta, an area of some 30,000 square kilometers (11,600 square miles). Anglo-Dutch conglomerate Royal Dutch Shell recently joined them there.